Each time you register a Cleveland Golf product, enter to win a contest, register for a newsletter, send us an email, or otherwise transmit information via our Site, Cleveland Golf may obtain and collect personally identifiable contact information including (but not limited to) your name, email address, mailing address, and telephone number. You may also provide us with information that, when combined with personally identifiable information, provides us with a better idea of who you are, such as your gender, birthday, marital status, and education level (collectively with the personally identifiable information, "personal information"). Generally, you can browse our Site without telling us who you are or revealing any personal information about yourself. Once you give us your personal information, you will no longer be anonymous to us. If you choose to use our services, we may require you to provide contact and identity information, and other personal information as indicated on the forms throughout our Site. Where possible, we indicate which fields are required and which fields are optional. You always have the option to not provide information by choosing not to use a particular service or feature. In any way we deem advisable to provide better goods or services to our customers. Cleveland Golf may also use personal information for any marketing and survey purpose on behalf of itself and its affiliates. Cleveland Golf may disclose personal information to third party agents and independent contractors that help us conduct our marketing and survey efforts. 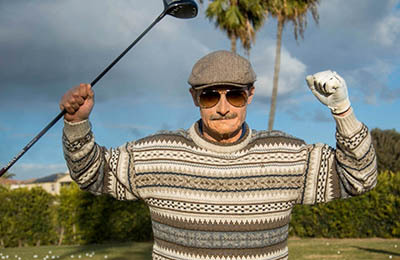 In addition, Cleveland Golf may disclose personal information to certain of its business partners in connection with marketing efforts, including but not limited to direct marketing. 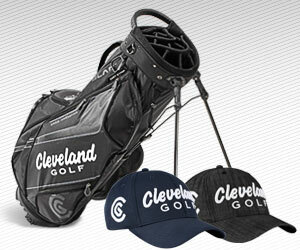 Cleveland Golf may also disclose personal information to its affiliates for their marketing and survey efforts. We automatically track certain information based on your behavior on our Site. We may use this information to do internal research on our users’ demographics, interests, and behavior to better understand, protect and serve you and our community. This information may include the URL that you just came from (whether this URL is on our Site or not), which URL you next go to (whether this URL is on our Site or not), your computer browser information, and your IP address. Your Internet Protocol ("IP") is a unique Internet "address"; which is assigned to you by your Internet Service Provider ("ISP"). For local area network ("LAN"), DSL, or cable modem users, an IP address may be permanently assigned to a particular computer. IP addresses are automatically logged by Web servers, collecting information about a user's traffic patterns. While the IP address does not identify an individual by name, it may, with the cooperation of the ISP, be used to locate and identify an individual using the Web. Your IP address can, however, reveal what geographic area you are connecting from, or which ISP you are using. Finally, other websites you visit have IP addresses, and we may collect the IP addresses of those websites and their pages. We use procedural and technical safeguards to protect your personal information against loss or theft as well as unauthorized access and disclosure to protect your privacy, including encryption, and "firewalls." We employ many different security techniques to protect such data from unauthorized access by users inside and outside the company. However, perfect security does not exist on the Internet.